There’s not always a clear line between those who help and those who need help.  Aaron is involved with The Hunger Coalition for several reasons. He’s made a life commitment to giving back. He’s strengthening his resume. He loves to cook. He loves to garden. And from time to time, he needs some help. In a community like ours, on an AmeriCorps volunteer’s budget, food can break the bank. In between service work and building his career at the YMCA, Aaron occasionally fills up a grocery cart with us or harvests fresh produce to take home through our Volunteer for Veggies program. Our Mobile Food Bank offers traditional food assistance for people in a pinch. Community members struggling to put food on the table can walk through our lines, filling up on the food they need to clear their hurdles. 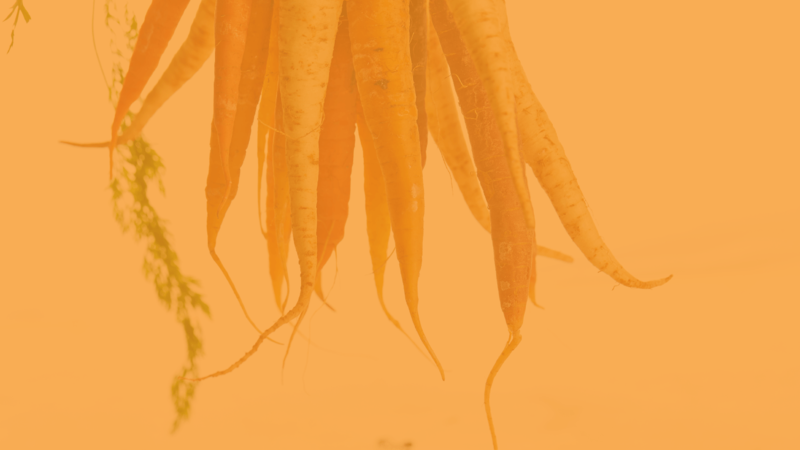 To complement the Food Bank, we launched Volunteer for Veggies, where the community is invited to volunteer an hour of their time at our growing spaces in exchange for a share of fresh produce. To say thanks, Aaron pays your generosity forward. He’s helped countless others since we first met him. He has driven across town rescuing food, inspiring food drives, and even soliciting in-kind gifts for a shade structure at The Hope Garden. Not one to stand still, he also helps cook. He cooked the first group meal for Bloom Youth Project interns and mentored Silver Creek High School students during their Cooking Matters classes. Aaron is instrumental to our organization and we’re glad we can return the favor to help support his ambitions. 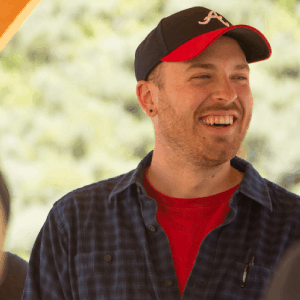 Through people like Aaron, your gifts inspire a ripple effect of good will.